c.2017 by ron P. swegman. all rights reserved. Cold Water, Wet Wind . . .
Days of rain had drawn a distinct mudline, a seam bordered by blued rippled crystal, rendered by cold water current and a consistent wet wind. Perfect, for a stretch, from which fish might pounce on prey and retreat, covered. A largemouth of fifteen inches darted from this cover and raced over the sprouts of pond bottom plants and in full sun rolled over my Green Guarantee. Rusty ron P. raised Ebisu, plucked the fly from the fish’s mouth a nanosecond before jaws could clamp down on the inhaled line. Between the lasting breezes, a cold even thermal wear could not weather long. Run, jog, run made mandatory to stay active, not frozen. 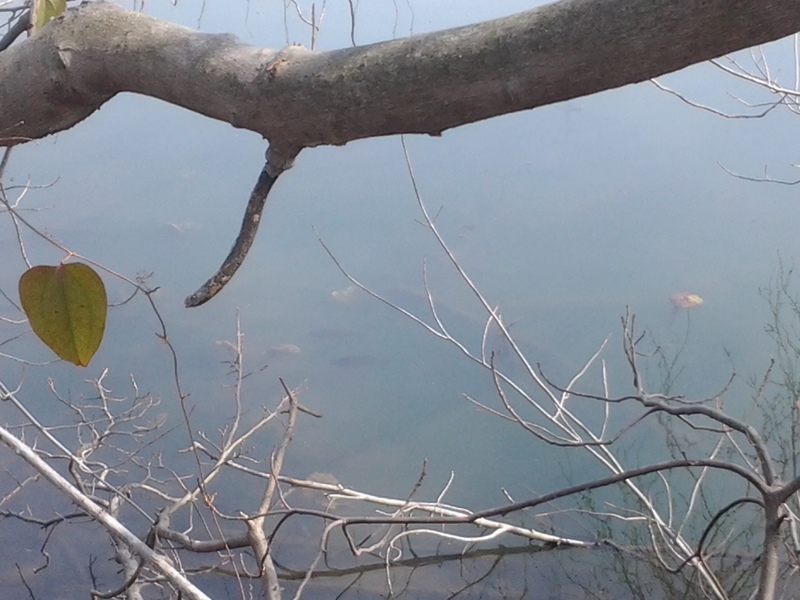 Beyond the sticks of last year’s shoreline stalks, fishes, and by leaning, balanced, a toehold on dry rock, Ebisu held out to work kebari along the edges, fishes. Fishes. Yes. 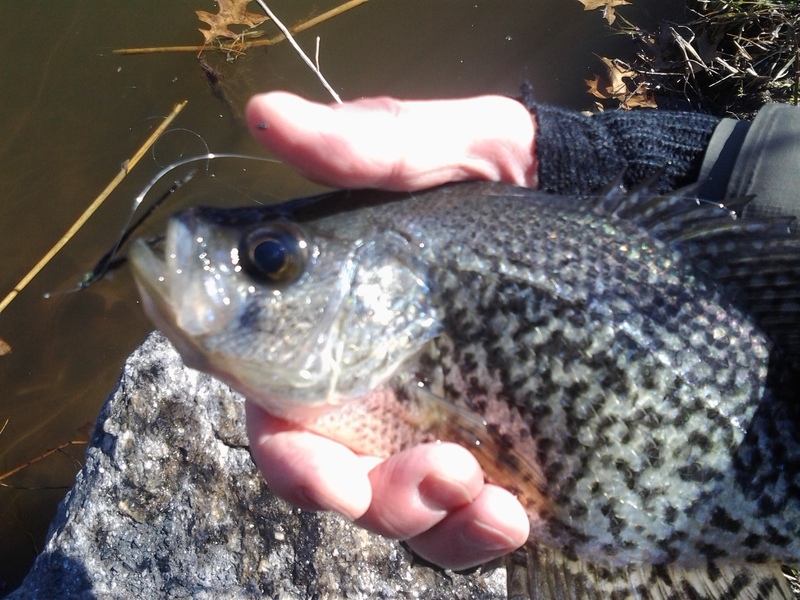 No, not the black bass, nor the expected black crappie. 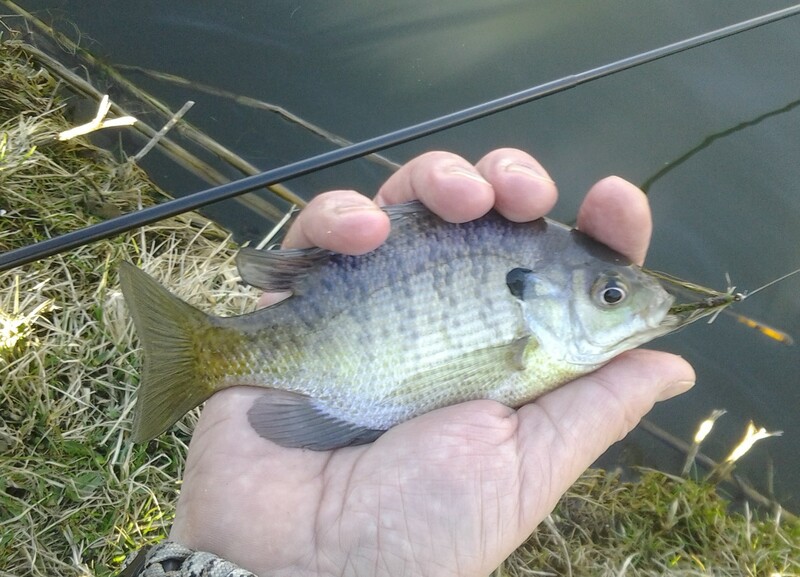 The bluegill, male and female both, took to strike the feather and fur kebari worked on the steady swim just above bottom. Yes. Gone fishing. Catching and Releasing. Happy. Flies in February . . . There sits on one of my windowsills a squat glass jar capped in gold. February finds this once full glass filling again. Interests and the path spreading like branches follows evolving passion even in the face of an other’s suggestions. I do incorporate experiments and techniques from and with friends, yet I avoid the net of orthodoxy by remaining as much as a lone cat as I can. 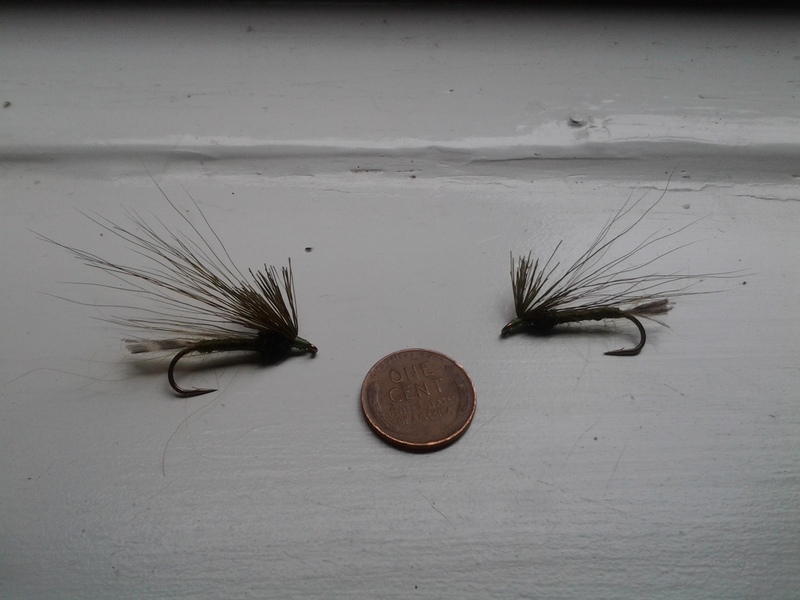 Tenkara Kebari all but for orientation of the hackle. As the remainder of the recipes fall in line with orthodox Tenkara Kebari I pause, side with majority rule in regards to the fundamental composition of each pattern, and I acknowledge there exists a kind of “Reformed Branch” of Tenkara, too. This branch I do practice with attention to balance. Both kebari patterns fish well in my favorite waters; confidence driven by the constant elements: sparseness, natural speckled hackle, and body iridescence. One Fly for the Tenkara Holidays . . . Gift giving. 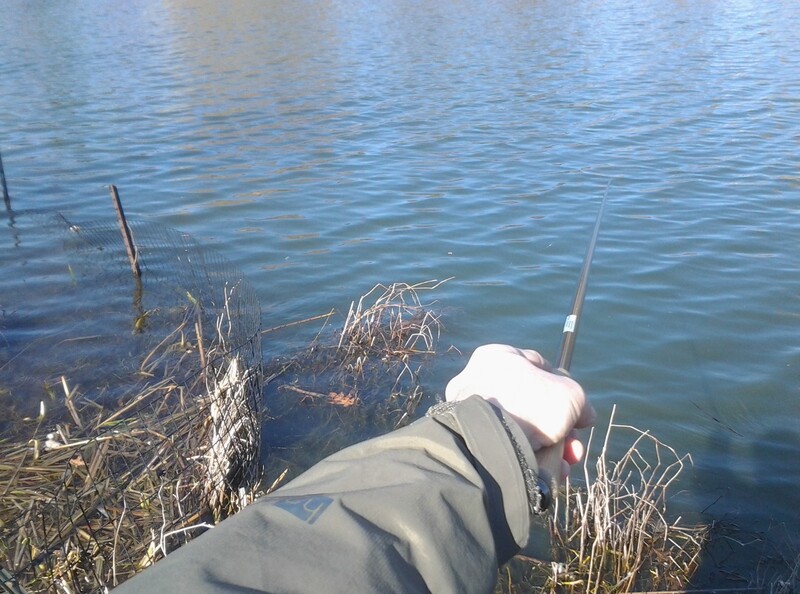 Among anglers the act can be a delicate wade on slippery surfaces. Some people may even take offense as far as viewing an offer as a hard press unwanted. Gift giver I may be. The acceptance of a fly pattern example, a kebari, perhaps as a holiday present, a simple gift from a friend or acquaintance who ties is, when from me, an act and an artifact of interaction akin to a card: business, birthday, or holiday. If the gift offered comes in duplicate, or more, fish the fly! Mix the gift pattern with your own for the classic swing or two in a flow’s current seam. 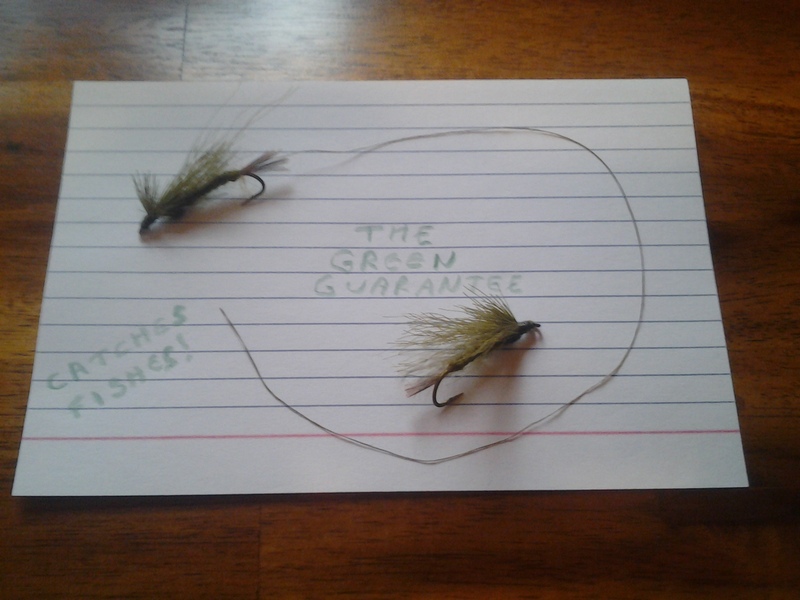 “Tenkara is One Fly Fishing” has been offered as a koan, as well as a sales absorbing orthodoxy, yet I have met masters who swing tandem soft hackles on a long furled leader with the grace of every other magician who has penned a trout treatise. One Fly. The inquiry begs an absolute or other from every voice. Is there an answer . . . yet? 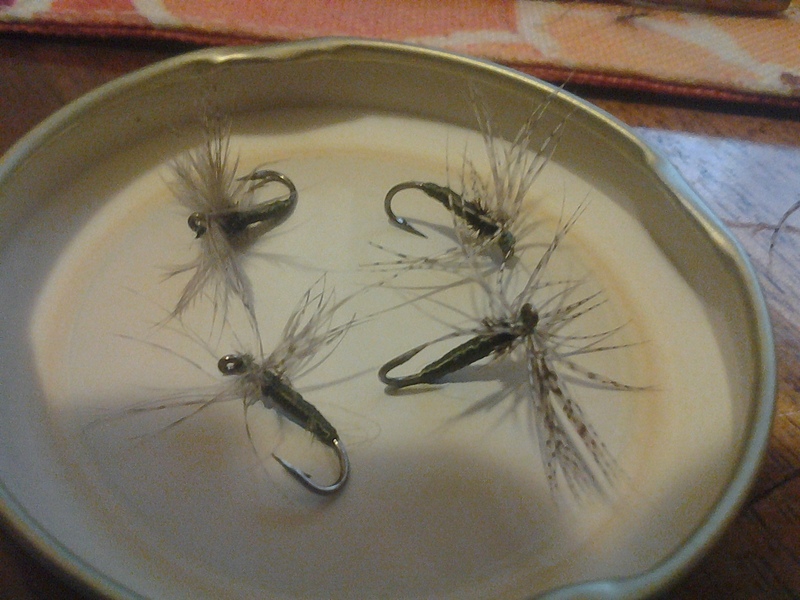 Meanwhile, fish that gift fly, or deconstruct the recipe for future fun with one fly on the water. When the good wine flows as fast as a pocket water flow, one knows many more than expected have arrived. Plenty of guests made a party for the NYC Tenkara Club in Manhattan, New York City. A table appointed well greeted the second floor guest at Orvis, 489 Fifth Avenue, New York, NY. Saddle hackles hung in rows and a white screen displayed slide show views of tenkara fisheries and fishers employed with a variety of matched tackle. Adam Klag displayed tenkara rods short and light along longer models capable of tangling with major Cyprinidae. Respected voices filled the space with Q&A and useful demonstrations of tackle management. There it was, then. The Question. That is my “Fly Box Flashback” for the close of December, 2015.
. . . the i-RON-y. For Short . . .
Testaments of all faiths have in their spirit the sense of a letter from one to another. Letters “Of and To” are “For and From” as well. A blog in a sense is such a form. When standards are held up, when the focus is on a subject rather than an “I,” a post can be a literary act of sharing with conviction most commendable. The level of Art is reached at times in any endeavor. The epistolary word, being of high standard, demands much from an author to become Art. Theodore Gordon’s mayfly patterns are canonical, so is his correspondence with G.E.M. Skues and Frederic W. Halford, written when he was nestled in the ‘kills of New York, read still a century after composition. Gordon remains a compelling figure for contemplation when engaged in the sport of fly fishing and the craft of fly tying. Readers now are individuals never to be connected to the man in real time or place in the physical sense. We may never fish with him, although tethered we are by Gordon’s active mind talking from the page printed in his own careful words. Gordon and his thoughts on the artificial fly are well known. 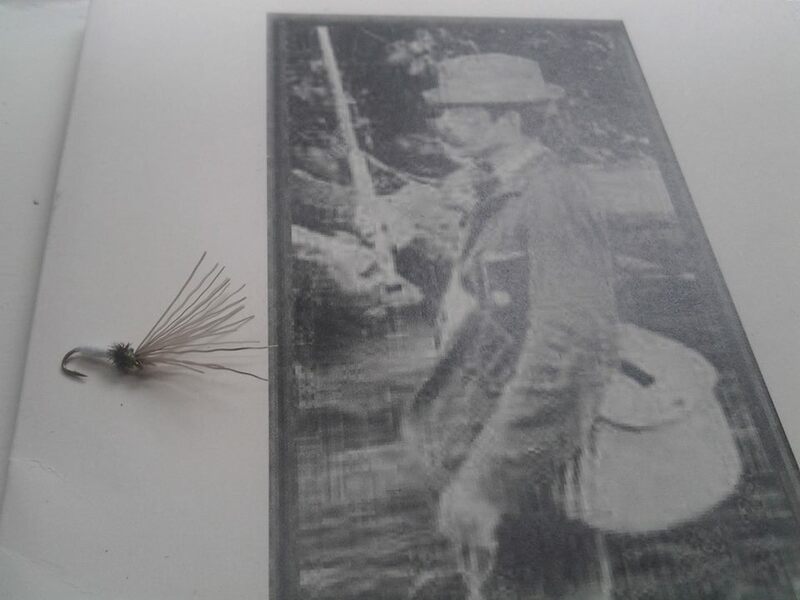 Another fly fisher of New York, Daniel Cahill, goes more unsung, perhaps for the simple reason he did not write, although his surname stands attached to another of the canonical Catskill patterns. He was a brakeman for the Erie Lackawanna railroad and a fly tier during the late 19th Century. His Light Cahill and its variants, a staple imitation of the pale Stenecron (Stenonema) mayfly, endure as surely as those of Gordon, although the man’s actual voice, from mouth or page to ear and mind, may be silent. Gordon and Cahill, mayfly and trout: all four have combined along one tenkara path to form a pattern I find works when trout fishing during the warm months of May through August. Shaded runs, a calm evening, or when the sun lets go of the water during the middle of a morning. A trout rising at such a time on a ‘kill might find such a basic pattern effective fished wet or dry. I combined the deer hair I have kept close this tying season with 6/0 olive, tan, black, or white thread and bodies of yarn, feather, floss, tinsel necked with a standard peacock herl thorax. One with an angora rabbit fur body resembles a very impressionistic Light Cahill. Deer hair is employed for the hackle rather than feather. This is a sakasa pattern, one that holds a Japanese traditional tenkara hackle orientation. The trick with deer hair folded forward is to retain a soft and parse head, which I half hitch at the rear base of the hackle. 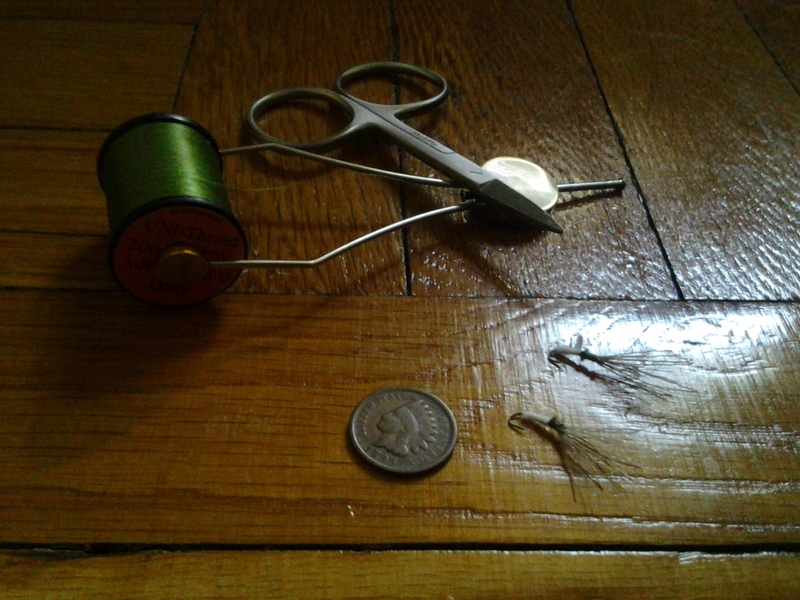 Scissors, bobbin, and thread are all the tools most necessary. Visual aids, if or as needed, of magnification 1.0 to 5.0 times can help on the details when hooks are on the smaller end. 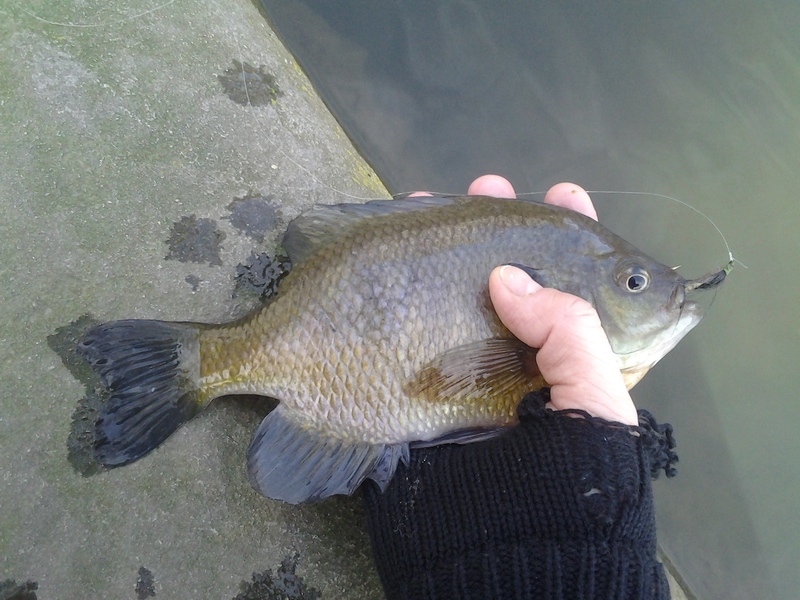 My preferred size for this pattern, based on satisfactory catch rates, is a 16. Deer Hair Cahill Sakasa Kebari: a mouthful for fish . . .
Tenkara and Trichoptera . 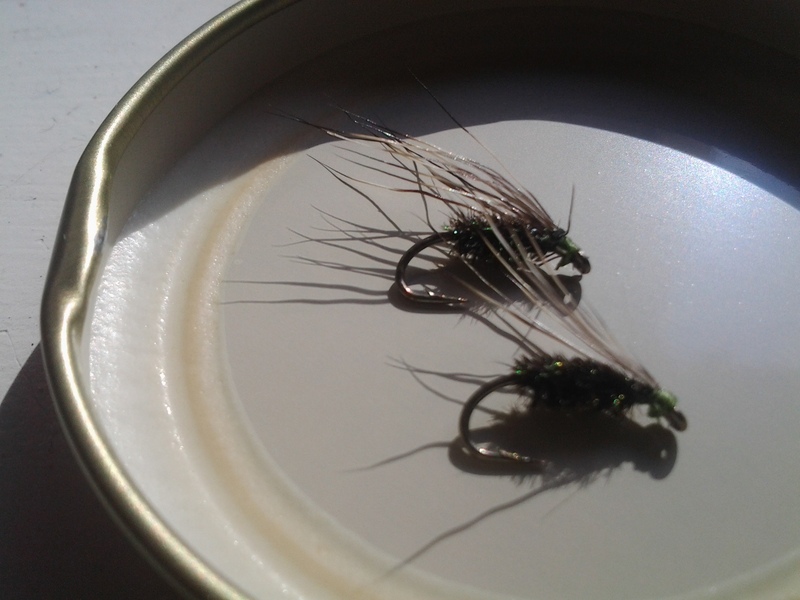 . .
Caddis patterns are a pillar of creative fly tying and effective fly fishing. 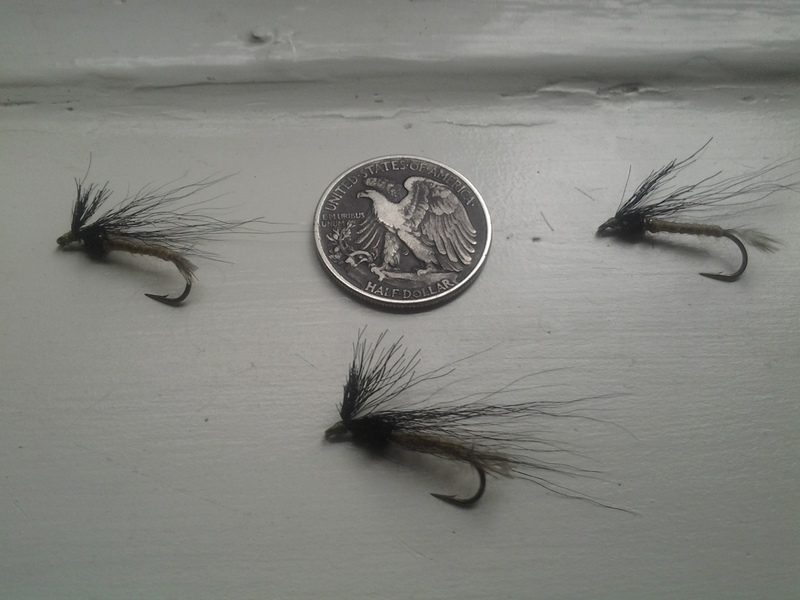 The caddis dry fly can be like potato chips to an eager trout. The nymph and emerger must offer a flavor that overcomes the texture of their exterior cases self-constructed from sticks and pebbles and mortar. Yes, to me, the caddis is an architect of a stream insect. Besides trout, wet caddis imitations make an excellent start pattern for the smallmouth bass and sunfish found in the freestones of the Mid-Atlantic region. 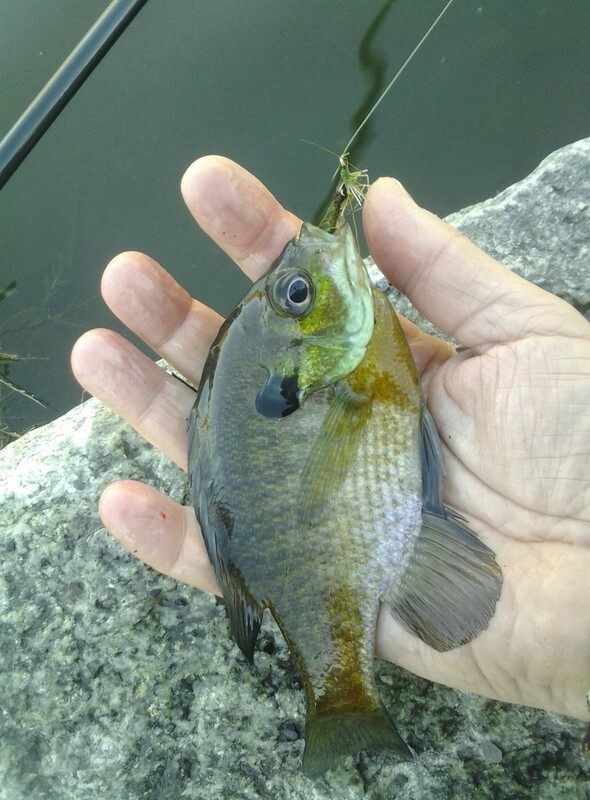 Green sunfish, redbreast sunfish, and rock bass all take the nymph swung by structure and drifted along current seams. One tenkara trichoptera of my own I like to swing along rock ledges and other deep bank areas. 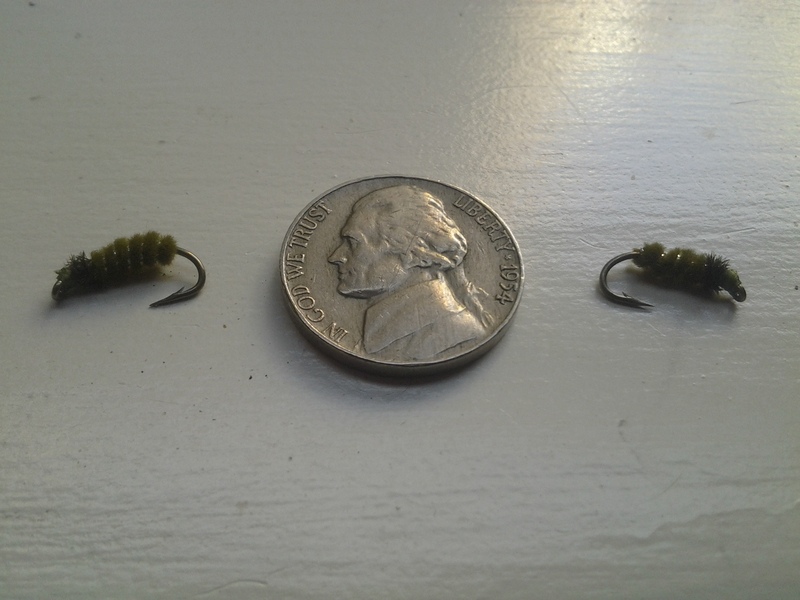 A simple larva pattern, not unlike a Poopah pattern, the body of this one appears more straight and sinuous on account of ultra chenille instead of dubbing; I also employ a standard wet fly hook that extends the ribbed tinsel body just a bit.